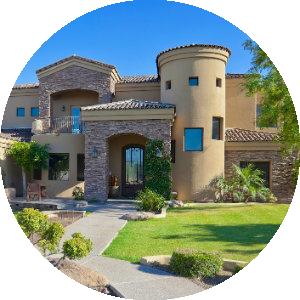 See today's Fountain Hills homes for sale & Fountain Hills AZ real estate listings below. Fountain Hills, a master-planned community built in the 1970s, is home to more than 23,000 residents and continues to expand while being considered one of the fastest growing communities in Arizona. In 2009, Fountain Hills was named "Best Affordable Suburb" in Arizona. Likewise, the town has also been designated as a "Playful City USA". Golf courses, parks, and hiking trails are right outside your door. In addition, art galleries, shopping, and locally-owned restaurants provide a unique experience to the community. 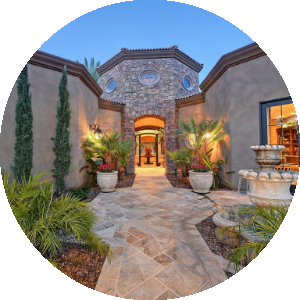 Homes for sale in Fountain Hills range from luxurious condos to custom-built homes in gated communities, while new construction continues to be a viable option as well. 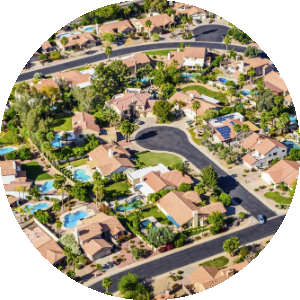 Get exclusive information about Fountain Hills neighborhood properties, or schedule a home showing today - contact your Fountain Hills Arizona real estate specialists now!